I’ve been rummaging through my vintage postage collection. Some days I feel like I would have no problem just using it all up, putting stamps on each and every envelope I send out; other days, not so much. The collection is actually my father’s. 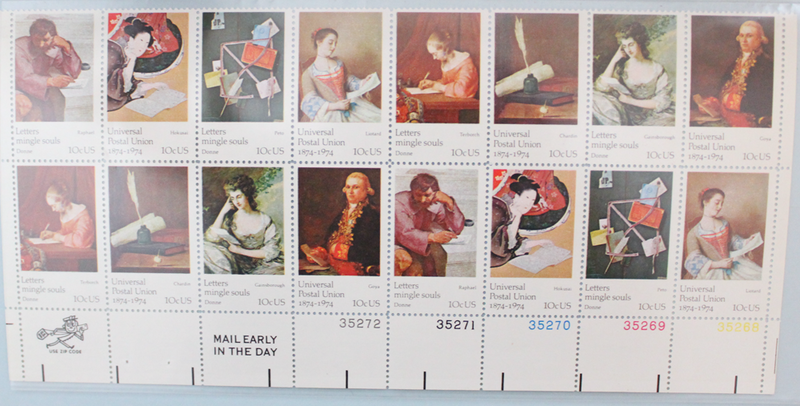 While I do not have any connection to my father in any way, I feel like this collection was the first thing to spark my interest in mail as a child. These stamps don’t hold any special meaning to him. He was the type of person who bought collectibles and random things with the thought that they would be worth money some day. I have never intended on making money off of these stamps so why can’t I just use them? I think it’s because I just like looking through them. There are so many different designs and themes. I love each and every stamp. I’ve actually added to the collection, over the years, with recent USPS issues that I absolutely love. Nothing beats a vintage design though. 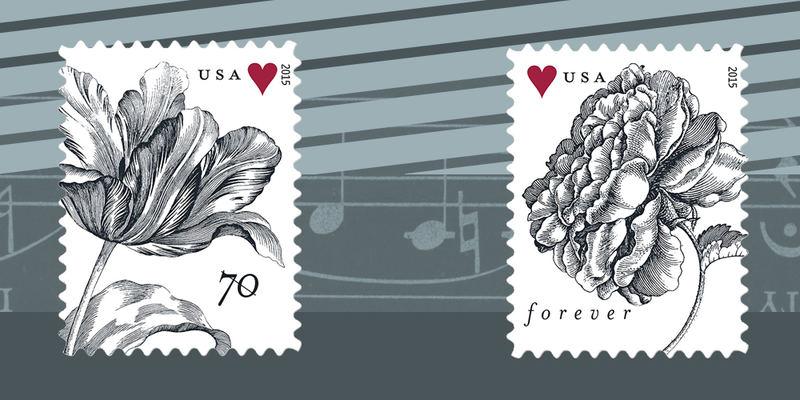 There are so many factors that go into the old stamps that make them much more special. I love the colors, the gummed backs, the fact that they aren’t glossy, the perforations, the texture; everything. 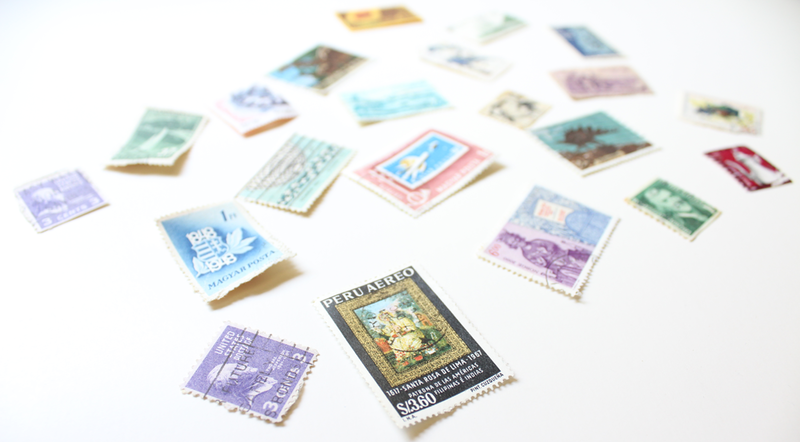 One of my favorite things about vintage stamps are the markings on a sheet of stamps. I don’t think I’ve seen any newer stamps with these kinds of markings (but feel free to correct me if I’m wrong!). 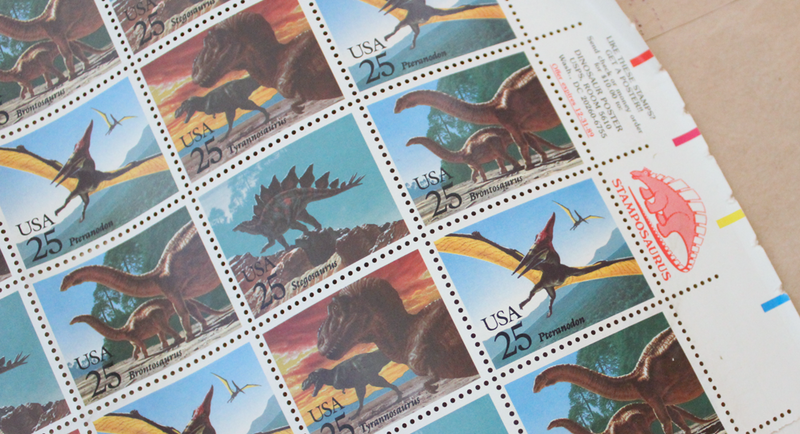 With the ones pictured, you can see the Mr. Zip character, which the USPS needs to bring back, the dinosaur, and some general information about the stamp. It almost seems like a lost cause to do this because most people will probably never see the markings. They are there until you rip the sheet apart and throw it away. I’m happy to have several sets of full sheet stamps. I don’t think I could ever part with them! 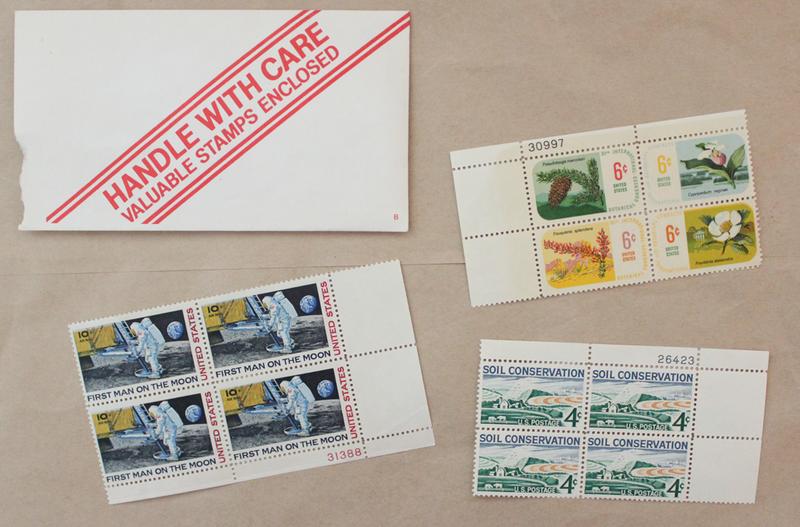 I remember being a kid and always begging my mom to bring out the box of stamps for me to look through. There was nothing better in the world to me than to look through all of these beauties! I don’t know if my mom ever official gave me the collection. I’m pretty sure I just claimed ownership of it, even before I started sending mail. I have no idea what attracted me so much to them, or to mail. 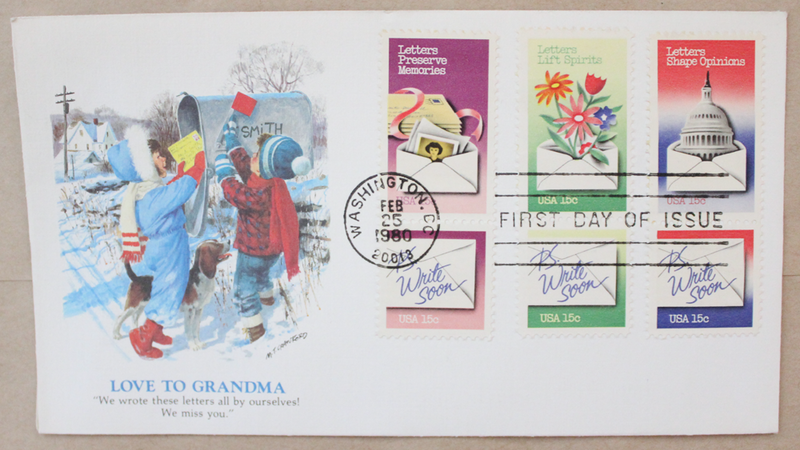 Even as a child, I was adamant about being the only one to check the mailbox every day. If a letter from my grandparents arrived, I would have to be the one to open it. 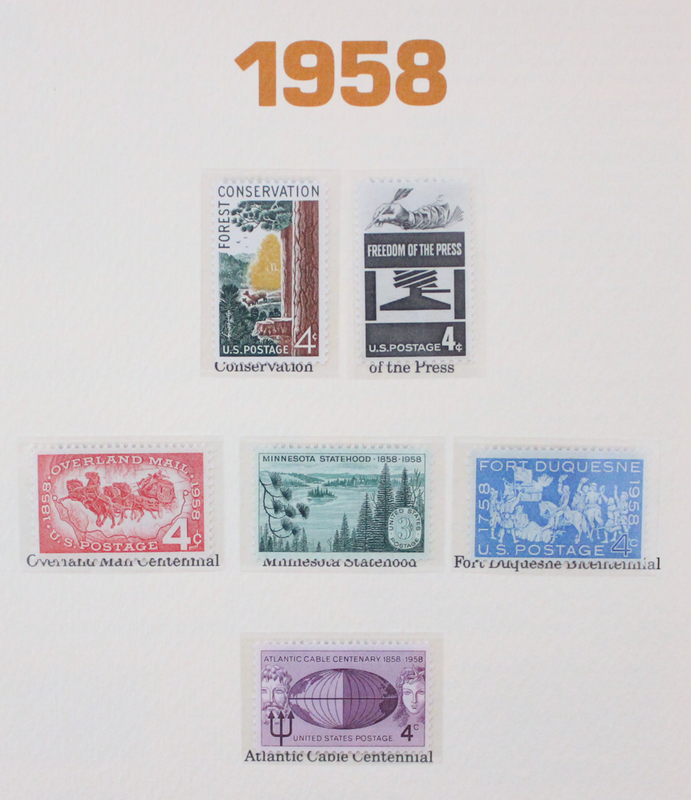 I’m down to my last 5 first-class postage stamps. Don’t get me wrong, I have a TON of low-denominational stamps but it’s annoying to stick five 10 cent stamps on an envelope. Who has room for that nonsense?! 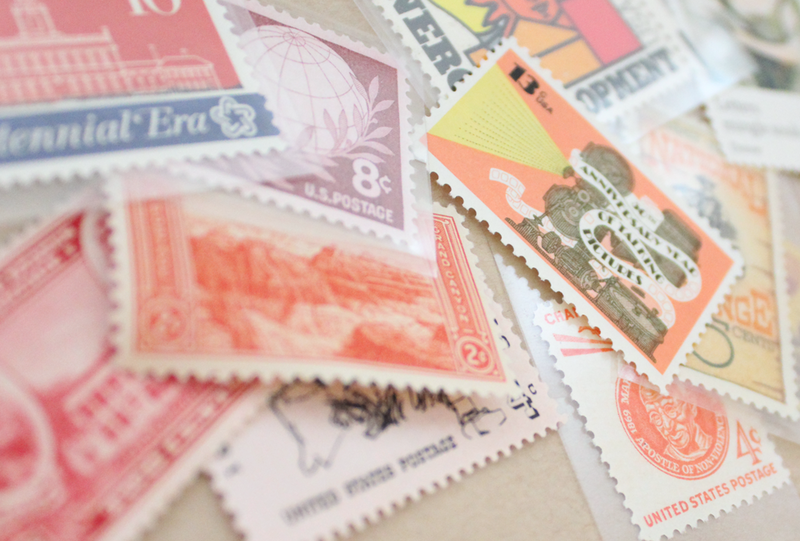 Plus, I love using a variety of stamps on envelopes so that is basically out of the question. If we’re being honest, I pretty much use the low-denominational stamps as envelope decoration. Luckily, it’s almost February. Which means I have $100 at my disposal to use on whatever I want; and that usually means postage. You see, I budget every cent of my money. It’s almost necessary but it’s also just super helpful. I don’t have a lot of money left over once the bills are paid (one day I’ll pay off that credit card!) but that’s okay! I really dislike shopping anyway. 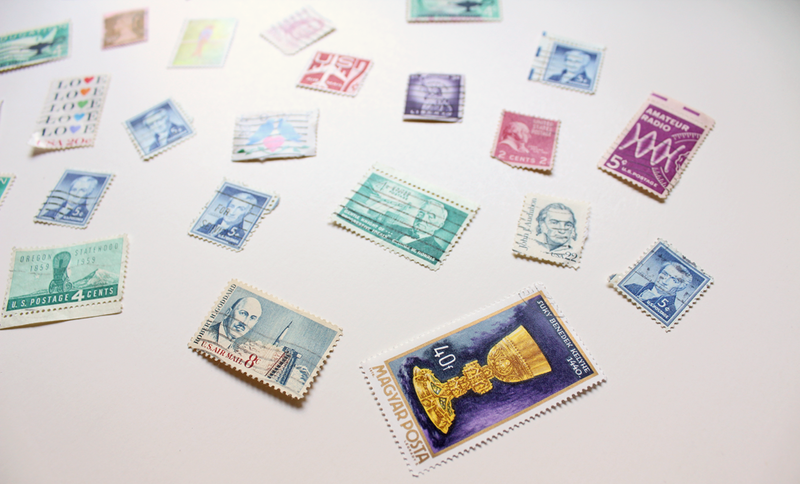 I went online and ordered a selection of stamps that looked the prettiest, to me. The stamps in the image above are on pre-order and I am so excited to get them. Aren’t they beautiful? I think these will be my favorite for 2015. Can I just say, though, that the designs for anything other than first-class rate are seriously lacking. They are just boring. 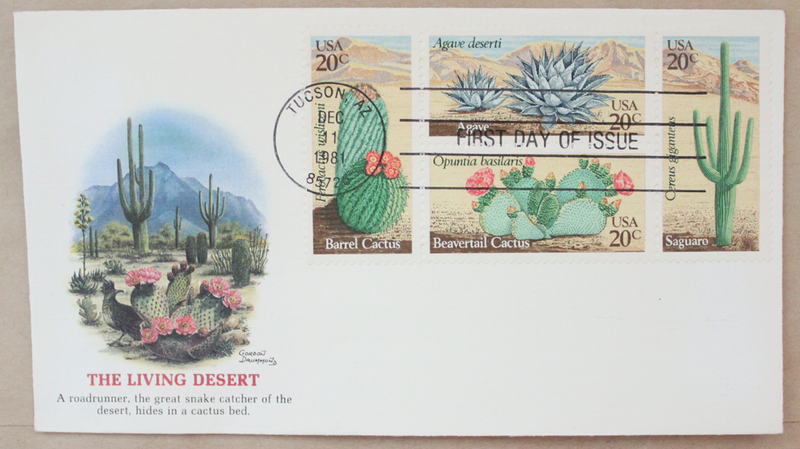 I’m really hoping 2015 throws some cool postcard rate stamps in our face. Or even some new designs for the 1, 5, and 10-centers. How do we just have one design for postcard rate? What is this? 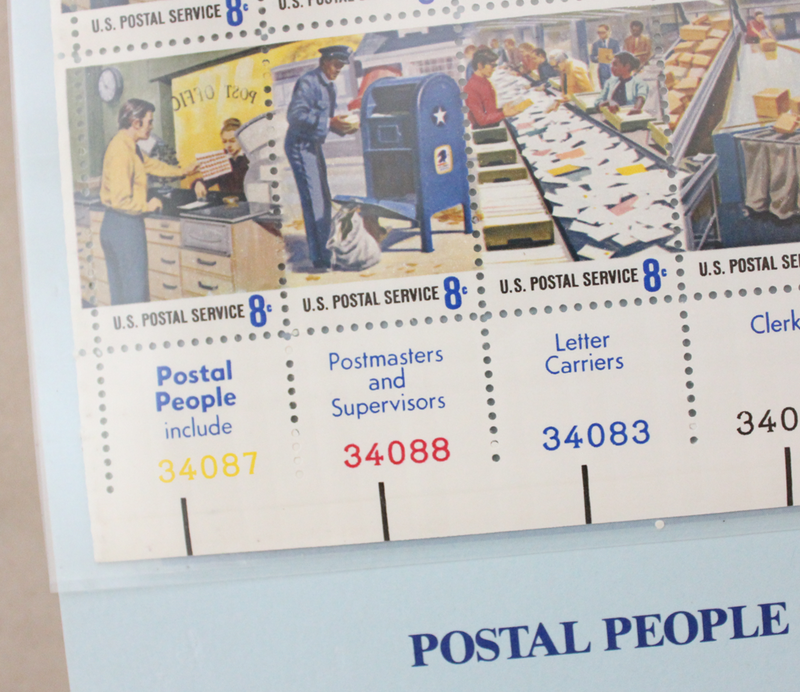 I have a lot of feelings about the USPS. Have you ordered any of the new designs? The other new one I’m aware of is the “Forever Hearts” design. It’s pretty enough but it doesn’t tickle my fancy like these vintage flowers.